The A-series smartphones from Blackview comprises of budget devices which gives you more functions at an affordable price. The Blackview A10 is its latest addition to the series comes with an impressive spec sheet. Also, the smartphone was built to be balanced in all aspect as much as possible to deliver an all round pleasing performance. The smartphone is quite a good looking one with nice silver edges. However, the fact that the Blackview A10 is made of plastic strips it of any premium feel. It’s overall aesthetics is good enough at least for a budget smartphone but it still looks like every other phone in this category. Like its peers the Blackview A10 comes with an HD IPS panel which is one of the reasons it sells for the price it does. The smartphone has a decent 5.0-inch 1280 X 720 pixels resolution display with an acceptable viewing angle. Low budget smartphones are known for their low battery capacity which usually comes with the low price.That being said, the Blackview A10 has an average 2, 800 mhh battery which is removable like most of the other smartphones in its category. Anyways, this is usually enough for at least a day under light usage. The smartphone comes with a rather common dual camera set up which usually for this category hardly have an effect on the picture’s quality. 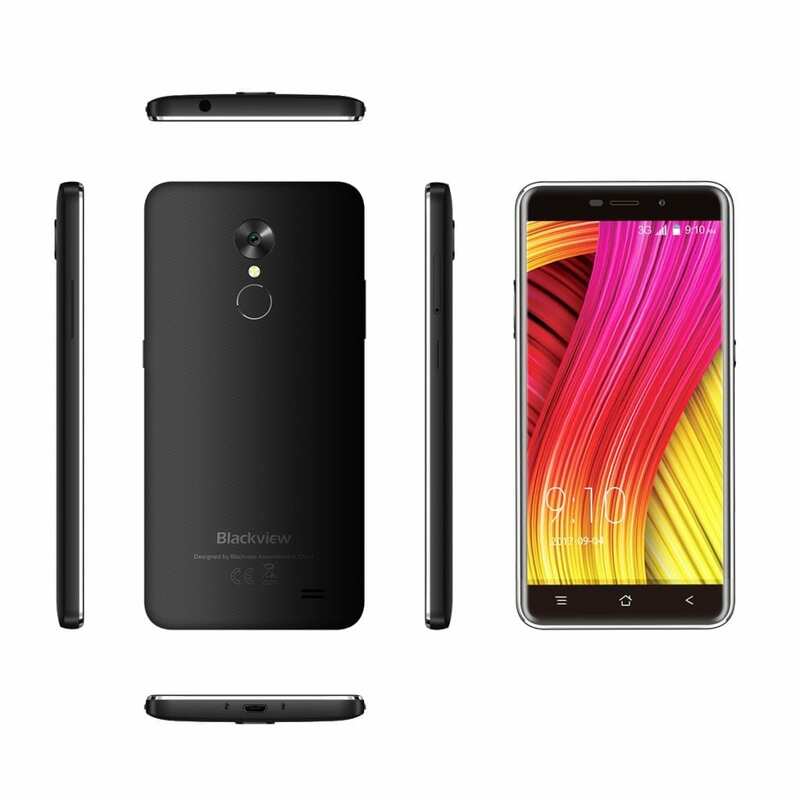 In the Blackview A10 smartphone you have a 5MP + 0.3MP rear camera and a 2MP front snapper. It’s often the case for smartphones like the Blackview A10 to come with a low level hardware which is in this case is a Quad-Core MediaTek MT6580A processor clocking at 1.3GHz. However, the processor is very well capable of performing day to day basic task although a few lags in opening apps and other things might be experienced. In addition, there’s a 2GB internal memory and a 16GB built-in storage expandable to about 32GB with a memory card. In the software department, the Blackview A10 boots the Android 7.0 Nougat straight from the factory. The Blackview A10 is available for sale in several smartphone outlets both online and otherwise. It sell for a price ranging from 24, 000 Naira to 34, 000 Naira depending on the deal and your location.